Hello! So we’re nearing the end of the alphabet for my event tips and I’m constantly trying to zero in on the most important facets of a successful event. I also will spontaneously tweet tips that I think you should know because of something that just happened which is great on-the-spot info! So what can I unfold for tips S-U? Love the music that’s playing, but can you hear me now? 1. Sounds: A great way to get any event going is to have the appropriate music. 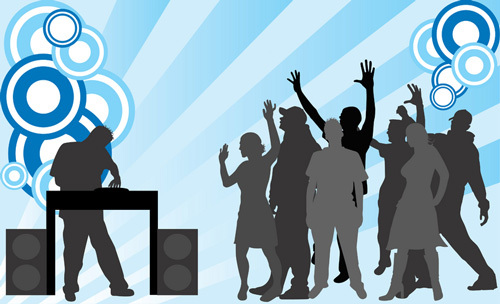 Whether its background or the focal point, music is essential for most events. One key thing to keep in mind is that doesn’t have to be so loud that you can’t talk to people or have to buy a hearing aid the next day! I’ve been to several events where the music is so loud blasting from the speakers that I can’t really meet people or I have to yell at them which is uncalled for. On occasion, I have to tell the DJ or coordinator to turn down the music a notch because it’s just way too loud. The entire block doesn’t need to hear the music, but the people in the room should at a decent level. In any event a technician should be on-site to man the controls and be ready for any malfunctions. 2. 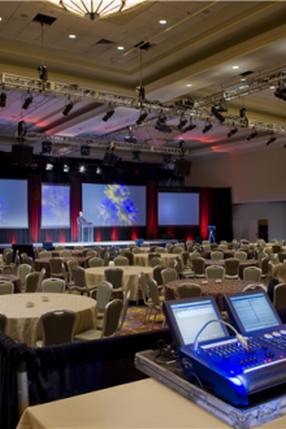 Technician: For any technology used at an event, such as a projector, computer, lighting, sound system etc. there should be an on-site technician. If you’re in the middle of a seminar and the projector blanks out, 9 times outta 10 you’ll need a savvy person that is familiar with the equipment in-site. Technicians are also pretty familiar with the room and how things are hooked up, so instead of wasting time with trial and error it’s better to let a designated person handle the job. That way you’ll be back up and running in no time! What makes your event unique? 3. 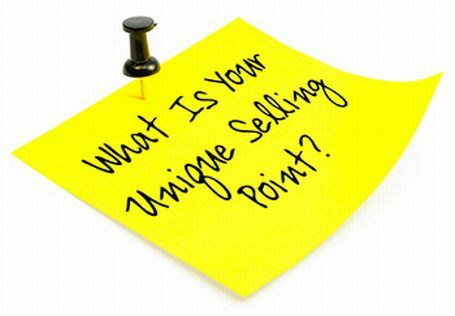 USP (Unique Selling Point): Each event should have a Unique Selling Point.Why should I go to your event? What makes it unique? If your event is like every other, then that doesn’t make me want to go to your event the next time. Add a new element or something that will want me already wondering when the next event is. Also, the more I want to attend the event again, the more I will spread the word! I hope you’re enjoying my weekly tips, I love being able to arm you with the minute details that can make or break it. Event tips V-X are next! When you’re in one part of the entertainment business, it’s natural to be in other facets of it. Monica Matocha fills those roles well as a music artist, dancer and jewelry designer! A triple threat to the business., this savvy 20 year old has a hit song she wrote called “Impostor” that has garnered her over 100,00 views on Youtube and thousands of fans on Facebook. She has a unique voice and the ability to express herself without a filter. Not only can she bring us melodious vibes, she also makes jewelry! As a way to help fund her music career, Monica creates bracelets with the glam rock star in mind. She’ll have arm parties featuring her bracelets which showcase her love of fashion and bringing her own style for her look in the music business. A big part of Monica’s style is layering; she knows how to combine vintage and modern pieces in both her style and her music. 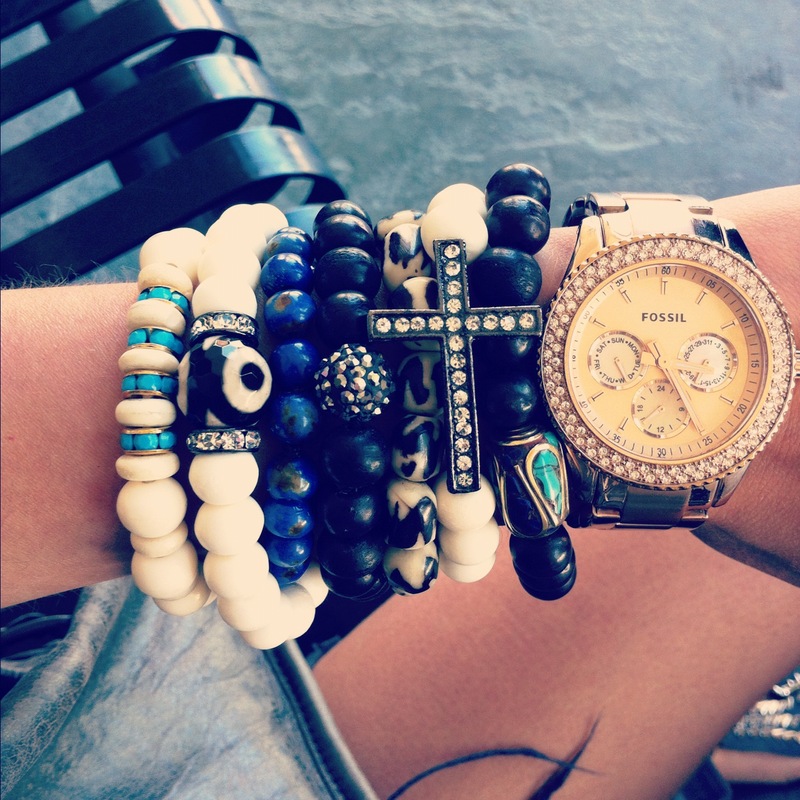 Her latest novelties include lava beads, bone bracelets and contemporary bullet necklaces. Monica even puts her faith into her handmade jewelry, turning the traditional rosary chic. My favorite pieces are the Black Cross bracelet and the bullet necklace which can both add that glam rock edge you desire!